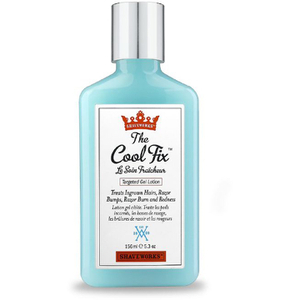 Shaveworks present The Cool Fix Targeted Gel Lotion; a soothing blue gel to instantly cool skin after shaving and waxing. Fortified with Glycolic, Salicylic and Phytic Acids, the powerful formula works to prevent ingrowing hairs, reduce redness and cool razor burn discomfort to leave skin feeling calm and relieved. 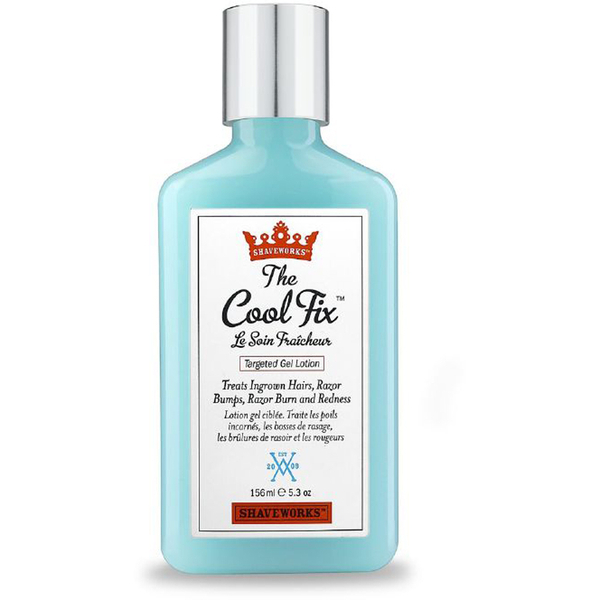 Fast-absorbing and lightweight, the gel frees trapped hairs and eliminates razor bumps, whilst its Mediacalm Complex makes it ideal for relieving mosquito bites and mild sunburn. Use immediately post-shave or wax to clean, dry skin. Apply directly to irritated areas. For continued maintenance, use every other day. Water/Aqua/Eau, Caprylic/Capric Triglyceride, Silica, Glyceryl Stearate Citrate, Glyceryl Stearate, C12-15 Alkyl Benzoate, Dimethicone, Glycerin, Stearyl Alcohol, Cyclopentasiloxane, Polyacrylamide, Polysilicone-11, C13-14 Isoparaffin, Carbomer, Laureth-7, Sodium Hydroxide, Sodium Benzoate, Potassium Sorbate, Parfum/Fragrance, Limonene.